I got a Kindle for Christmas, who didn’t? 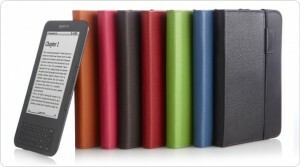 As of last summer many estimates said that there were about 8 million Kindles sold. Since Christmas 2010, it seems like everybody I talk to got one. On twitter people were buzzing – so even people I don’t know seems to have gotten one. Unfortunately, because I read so much for work purposes and because I did so much proof reading from past bosses with horrible spelling and language skills, reading anything more than a magazine wasn’t something I found particularly enjoyable. Later on in the day I tried it out and wow what a great viewing experience it was for my 40-something eyes. I even downloaded a couple of books that I paid for and by day’s end I was reading Elizabeth Edward’s “Resilience.” I sailed through it. And next I cannot wait to try the notes and highlighting feature. Sadly, I left and had second thoughts, “Maybe I should just go on line and order it and take the chance?” But I realized I wouldn’t get it any faster and I wouldn’t be able to touch it like I had wanted to prior to purchase. I went back the next day and lo and behold they had what they had promised they had. I snatched one up and began telling all my friends that had one to get one of these little gems. I couldn’t get one that was any other color than black (sounds like Henry Ford), but it is just fine no matter what color it is. The light also doesn’t seem to drain the Kindle as much as I thought it would and having right there, I use the light often, because with these 40-something eyes sometimes it just makes things easier. Even if you do have a Kindle with a cover all ready, I would recommend making the investment. You won’t be sorry! Photo credit: Amazon (originally), but I picked it off Cnet.